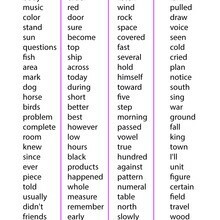 Sight Words are high frequency words incorporating more than 50 percent of the words young readers will come across. 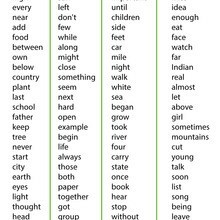 Some of the sight words are hard to pronounce because they don't sound the way they are spelled. So, learning and recognizing the word by sight is easier. 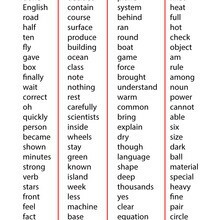 Sight words are often referred to as the Dolch Word List or Fry List. 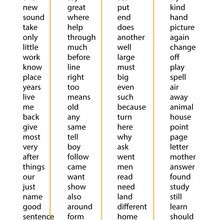 Teaching high frequency words to students early is the standard approach in elementary schools. Teachers and parents can use sight word flash cards with children to help them pick up on the words quickly. They do this by repeatedly showing them the words with the flash cards. 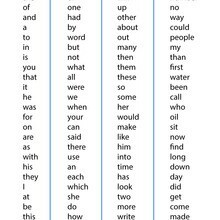 Hellokids.com has created a list of High Frequency words for each grade to print and practice with your child. Discover the list of books your child should read at each grade level and help them enjoy the world of words and reading!